The department of commerce was established in the year 1982 with the purpose of acquiring knowledge of business or trade, nature and fluctuation in market, basis of economics, fiscal policies and industrial policies. Master degree was introduced in the year of 1986 since then the department has witnessed many benchmarks such as the introduction of autonomy in PG course in the year 199 and attaining the status of a research centre in the year 1995.Starting with few students the department has over a period of time attained the status of being the largest department in the college. Commerce department is acknowledged as a vibrant department of the college with students proactively involved in an academics, sports and co-curricular activities. Besides classroom teaching the department actively engages students in assignments, presentation, seminars and projects to ensure their comprehensive command over the subjects. Extension activities, study tours are also an integral aspect of learning. Inter disciplinary initiatives at holistic learning are also being taken to help students develop insight into aspects beyond their subject and widen their canvass of learning. To enhance the learning process of students department has also organized visits form eminent persons such Dr. S.S. Mishra, Director,Tata Institute of Hotel Management, Auraangabad. Dr.I,P.Tripathi, Dean faculty of Commerce,A.P.S.University,Rewa (M.P.),Dr. K.B. Agrwal,Dean Faculty of Commerce, Rani Durgawarti University,Jabalpur (M.P.),Dr.B. Tatwade,Principal & Dean faculty of Commerce, Dhanwate National College,Nagpur,Prof. Anant Deshmukh,R.T.M.University,Nagpur, Dr. S.S. Rao, Dean and Head Deparmtnent of Commerce,Andhra University,Vishakhapattnam (A.P. 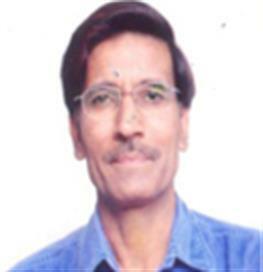 ), Prof. Nageshwar Rao, Dean faculty of Management,Vikram University,Ujjain (M.P. 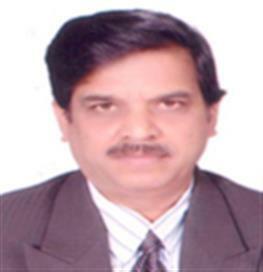 ),Prof.P.Mishra,Dean faculty of Management ,Barkatulla University,Bhopal(M.P. 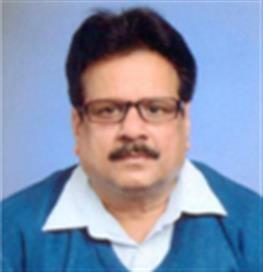 ),Dr.J.P.Mishra, Prof. of Commerce,Allahabad University,Allahabad,(U.P.) Also besides regular academics, the department has been involved in organizing conferences/seminars/workshops on relevant issues. The department of commerce being a well recognized research centre has and enriched commerce lab where its faculty members are actively involved in research as DRC members and Ph.D. guides. The prime areas of research are Applied economics, Management, Accounting and finance. The faculty members have also been making contribution towards research via Major and Minor research projects undertaken and consistent publications of research papers. Under the guidance and support of well qualified and dedicated faculty member the departments looks forward to promoting systematic and holistic commerce education for developing skilled manpower who can and value to the economic resources of the society, strengthen trade commerce and industry and hereby the civil society. Since the Indian economy is one of the fastest growing economics among the third world countries the need for talented professionals who can contribute to the growth of the economy is ever increasing as such the department aims at preparing students to successfully blend theoretical knowledge and practical skill in business so as to prepare the youth to attain comprehensive outlooks and perspectives. To prepare human resources those are well adapted and blend as per the requirements of the commercial world besides, promoting quality research and consultancy in the area of business studies. The department works with the mission of developing entrepreneurial abilities and skills amongst students and in the long run developing human resource that acts as a think tank for the business sector and develop business philosophers to propagate and practice social responsibility inclusive growth and sound value systems in the near future and in the long run. To shape the young generation, who are coming from the diversified sections of the society, so that they will be prepared to accept responsibilities in the business world and at the same time mould them into disciplined, cultured and sociable human beings with social, moral and spiritual values. To provide knowledge in different areas of Commerce Management. To produce graduates with practical exposure. To inculcate the element of research amongst the learners to develop their overall personality. To motivate learners to participate in various academic exercises and programmes. To develop communication and presentation skills of the learners. To assist the learners in pursuing higher and professional studies. To bring out Commerce graduates who are useful to the nation at large. To enhance decision making abilities which helps the learners to become competent and face the competitive environment. To provide learners with the highest possible standard of business education. To ensure that the education and qualifications we provide enhance learners prospects of employment. 6. Rule of Co-operative bank in agricultural credit: A study based on Chhattisgarh Abhinav national monthly refered journal of research in commerce and management Vol.-I issue X October 2012 ISSN No. 2277-1166 Soni Anil kumar , Saluja Singh H.P. 7. A Study on the development of co-operative movement of Chhattisgarh State. Indian streams research journal Vol.-II issue X November 2012 ISSN No. 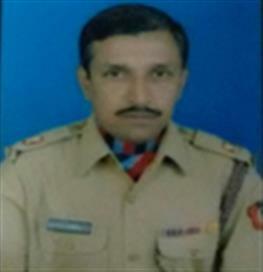 2230-7850, Soni Anil kumar , Saluja Singh H.P. 8. A study of committees on the development of co-operative movement Golden Research thoughts Vol.-II issue VII January 2013 ISSN No. 2231-5063 Soni Anil kumar , Saluja Singh H.P. 11. Financial Ratio analysis of DCC Bank limited Rajnandgaon financial management Internation Journal of Accounting and financial management research. Vol.-III issue I March 2013 ISSN No. 2249-6882, Soni Anil kumar and Saluja Singh H.P. 12. A study on development of co-operative movement in planned economy Internation Journal of Economics commerce and research Vol.-III issue I March 2013 ISSN No. 2250-0006, Soni Anil kumar and Saluja Singh H.P. 13. Comprehensive study on common accounting system for PACS international journal of accounting and financial management and research Vol.-III issue I March 2013 ISSN No. 2249-6882, Soni Anil kumar and Saluja Singh H.P. 14. Audit practice and procedure in co-operatives of Chhattisgarh Golden Research thoughts Vol.-II issue IX March 2013 ISSN No. 2231-5063 , Soni Anil kumar and Saluja Singh H.P. 20. छत्तीसगढ़ राज्य में लद्यु वनोपजों का प्रबंध एक विश्लेषण छत्तीसगढ़ विवेक Vol.-37 January march 2012 ISSN No. 0972-8809, Mishra Satyaprakash and Jha S.N. 22. लद्यु वनोपज आदिवासियों के जीवकोपार्जन प्रबंध का एक महत्वपूर्ण साधन एक अध्ययन छत्तीसगढ़ राज्य के संदर्भ में शोध प्रकल्प Vol.-LXI issue IV October-December 2012 ISSN No. 2278-3911, Mishra Satyaprakash and Jha S.N. 23. महिला एवं बाल विकास विभाग की योजनाओं का महिलाओं के आर्थिक विकास में योगदान] Vol.-XIV(7) issue 138 September-2015,pp119-121, ISSN No. 2278-3911, Sahu Kumudini and Jha S.N. 24. छत्तीसगढ़ राज्य में राष्ट्रीयकृत लद्यु वनोपज का व्यापार, शोध संप्रेषण Vol.-V,pp-37 July-september 2013 ISSN No. 097-6459 Febuary 2014 Mishra Satyaprakash and Jha S.N. 25. छ.ग. राज्य में कृषि विकास एक अध्ययन Vol.-V issue IX October- 2015,pp-1, ISSN No. 2236-7850, Mishra Satyaprakash and Thakur S.R. 26. छ.ग. में कृषि विपणन एवं उसकी चुनौतियॉं Vol.-IV issue XI August- 2015,pp-1, ISSN No. 2249-894 X, Mishra Satyaprakash and Thakur S.R. 27. भारत में कृषि ऋण विकास एक अध्ययन Vol.-XIV(2) issue IV April- 2015,pp-115-117, ISSN No. 2249-894X, Mishra Satyaprakash and Thakur S.R. 28. E-Commerce in India-Growth & Challenge, Vol.-VI issue XI Jan-Feb - 2015,pp-10, ISSN No. 975-3486, Mishra Satyaprakash and Thakur S.R. 29. ग्लोबल मार्केटिंग की नई दिशा भारत का ग्रामीण क्षेत्र Vol.-IV issue XI June-Aug - 2006,pp-10, ISSN No. 2249-894 X, Thakur S.R. 30. Effect of Rapid urbanization in Health & Enviornment, Vol.-III issue-35 Aug - 2012,pp-10, ISSN No. 2249-894 X, Agrawal Sumeet & Thakur S.R. 31. Influence of peer pressure on brand switching among Indian College students International Journal of current research Vol.-VI issue –II pp 51664-51671 Febuary 2014 ISSN No. 0975-833X , Acharya Aditi and Gupta O.P. 32. Examinee CSR practices among companies in different sectors in the U.S. & India,Excel International Journal of multi disciplinary management studies Vol.-IV issue –VII July 2014 pp 22-36 ISSN No. 2249-8834 , Acharya Aditi and Gupta O.P. 33. Evolving Social Networking Preference of Collge Students in India, Vol.-V(3) issue –II pp 61-67 March-2014 ISSN No. 0975-833X , Acharya Aditi and Gupta O.P. 34. Investigating Gender Diversity Policies & Performance of us Companies in Relation to Gender Inclusivity at the Senior Corporate Leadership level, Vol.-VII issue –IX pp 20181-20186, September 2015 ISSN No. 0975-833X , Acharya Aditi and Gupta O.P. A National Seminar on " MANAGEMENT OF RESOURCES , UTILIZATION & SUSTAINABLE DEVELOPMENT was organized by the Department of Commerce and Management on 17th and 18th Decemberr 2011. Dr. Dr.Ashok Parakh, Chairman of Private college Regularity commission of C.G. Govt.& Ex-Principal of Durga College, Raipur was the chief guest and Dr. Prakach Chand Chouby, Principal was Chairperson of the seminar. A key note address was delivered by Dr. S.S. Mishra, Professor of Emirates & Director of Tata Institute of Hotel Management, from Aurangabad , his topic was "Management of Resources ,Utilization & Sustainable Development". First technical session lecture addressed by Dr. N.K.Baghmar,Prof. Pt.R.S.U.,Raipur the topic was "Resource Potential and sustainable development of Chhatishgarh State". Second technical session address was given by Dr. R.K. Uppadhya. Ex-Principal of R.C.S. Arts & Commerce College,Durg, the topic was "Resources of Water & Food, Its Management, Development, Utility, Prospects and Challenges". Third technical session address by Dr. J.L. Bharadwaj, Ex-Prof of Economics Department of Pt. R.S.U.,Raipur consigned his address on "Resources of Minerals Its Management, Development, Utility, Prospects and Challenges. Fourth Technical session address by Shree S.N.Singh,Ex-CEO,HRD,Bhilai Steel Plant,Bhilaiai the topic was “Resources of Human Management, Development, Utility, Prospects and Challenges. About 65 research papers were presented by respective research scholars. Total 150 Professors and research scholars were participated in the seminar. Dr. O.P.Gupta was Co-coordinator and Dr.S.N. Jha was organizing secretary of the seminar. The Chief Guest of valedictory function was Dr. Anjani Shukla, Additional Director of Higher Education C.G. Govt., Raipur and Dr. P.C. Choubey, Principal, Govt. V.Y.T.PG. Autonomous College Durg was presided over the valedictory function. A souvenir was also published on the occasion.